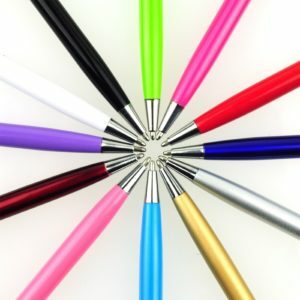 2 What went wrong with stylus pens for touch screens? 4 How do you want to use your stylus? For many of us with access to touch devices, the need for a stylus pen isn’t an imminent one. We can work without one fine, right? But then, have we ever tried using one? A stylus makes your experience more immersive, and if you love working on your smart device, it can significantly boost up productivity. What went wrong with stylus pens for touch screens? When touchscreen devices were first launched, stylus pens were quite a rage. Everybody wanted one. Yet, the fad did not last long. The rise and decline of stylus pens were for a simple reason – they just weren’t advanced enough at that time. With resistive touch displays, these stylus pens just weren’t that effective. However, fast forward to half a decade, and we have capacitive touch displays that can understand all our gestures. And if you have ever used a stylus pen for a touchscreen on devices like the Surface Pro 4, you would know just what a delight it is. Work becomes simpler, easier and faster. You can conveniently work with the stylus pens, and it actually adds to the value. You do not have to worry about the interactive pen stylus not working, and you would love how things work. In fact, you could work with your stylus even without touching the screen, like in the case of the Surface Pro 4 . Thankfully, in Series like the Samsung Galaxy Note series, we have all experienced the true effects of having a stylus. You can create memos, watch videos and write notes, in a way you never imagined before. S Memo is an application developed by Samsung which allows you to create memos. You can create text memos with the help of keypad or freehand memos with your fingers. It also allows you to insert images and voice clips in your memo and share your memo with others. It is really helpful as you can add text, freehand drawing or text, images and voice clips all in a single memo. For instance, in the S Memo, you have a number of things you could do with your stylus. l ‘T’ shaped icon which allows you to enter text. l ‘Pencil’ shaped icon which allows freehand drawing. l ‘Eraser’ shaped icon which allows you to erase free hand drawing. l ‘Curved arrow pointing towards left’ and ‘Curved arrow pointing towards right’ shaped icons respectively for ‘Undo’ and ‘Redo operation. l ‘Microphone’ shaped icon present on the top right side of the screen, This allows you to insert voice note in the memo. How do you want to use your stylus? Stylus Pens for Touch Screens can help you take down notes, draw beautiful pictures – the Surface Pro 4 stylus pen, for instance, has more than 1000 different pressure points to recognize your handwriting beautifully – or even browse the web in a different way. And you could even make your non-touch screen laptop into a touch screen one with the right styluses. Get to experience your touch screen devices in a new way and explore its full capabilities by getting good stylus pens for touch screens. You would be experiencing a new way to interact with your smart device – one that you would really love. This entry was posted in reviews, stylus Pens, Uncategorized on April 25, 2016 by admin.